The Checklist Manifesto by Dr. Atul Gawande is really an interesting book—simple yet thought provoking—which highlights the importance of making checklists in various industries such as aviation, medicine and construction… how checklists reduce the errors in medicine drastically if followed for carrying out routine but critical tasks by the doctors. He offers excellent insight into why checklists work… a checklist compensates for our limited and fallible memories and helps to avoid skipping important tasks and to enforce discipline. With the increase in the number and / or the complexity of tasks, it becomes even more important to prepare checklists. So, what are checklists? Is it possible to use this simple yet extraordinary tool to improve our daily lives? Checklists mean writing down every action or task that needs to be done and then checking / ticking them off as you go. Yes, of-course these simple checklists can also be used to make our life easier by using them for planning routine tasks in daily life. Do you know that Dr. Albert Einstein never felt the need to remember even his telephone number so as to free his brain space for more important thoughts? His reasoning: Why should I memorize something when I know where to find it? I’m myself a great fan of checklists and have been using them for years in my personal life for doing all sorts of things to keep my mind focused on what needs to be done. 1. To Do List: So that my mind is not unnecessary occupied with all mundane things and I can concentrate on the job in hand. Further, it also gives me immense satisfaction when an item from my ‘To Do List’ gets ticked off. For further fine-tuning, if the number of items are too many, you can divide it into different sections on the basis of time interval (daily, weekly, monthly, annually). One can also develop a time management matrix based on urgency and importance of different tasks as suggested by Stephan Covey in his best selling book The 7 habits of Highly Effective People. 2. Grocery Checklist: So that I don’t forget any item when I do once in a month grocery shopping. It obviates the need to make multiple trips to the market to buy the daily grocery needs. The other major benefit of grocery checklist is that my mind doesn’t wander and I don’t end up buying unnecessary stuff. 3. 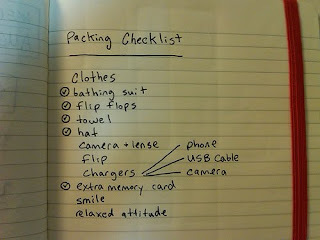 Travel Checklist: List of things to pack when planning my travel, so that I don’t miss an essential item while travelling. 4. House Shifting Checklist: Planning all the activities that need to be taken care of while shifting residence. 5. Financial Documents Checklist: List of all investments, insurance, credit cards, bank accounts, tax returns, Loan documents etc. which make it easier to do a periodic financial review. There can be so many other checklists such as house cleaning checklist, shopping checklist, monthly bill payments checklist, cooking checklist, house building checklist, wedding checklist and event planning checklist. 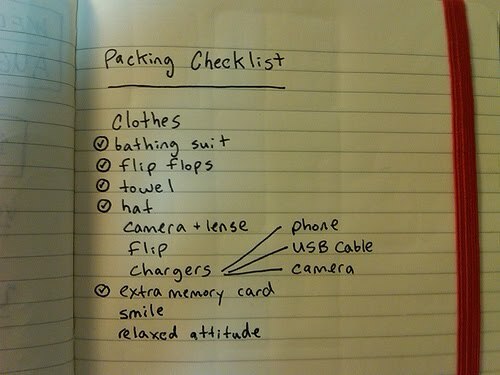 Do you also make use of lists and checklists to make your life easy? If yes, do you find them effective? Any lists you’d like to add? Thanks for sharing the info on the book. A simple but highly effective habit - making and using checklist/checkoff lists. Really nice article Fisher. I frequently use the To do check lists. Its a great tool to focus on the tasks to be done. But often I find that due to unavoidable reasons such as unplanned work at the job, the items mentioned in it get delayed for completion. Still I cherish the moments that I have at least completed some of them which makes me feel better & happy.